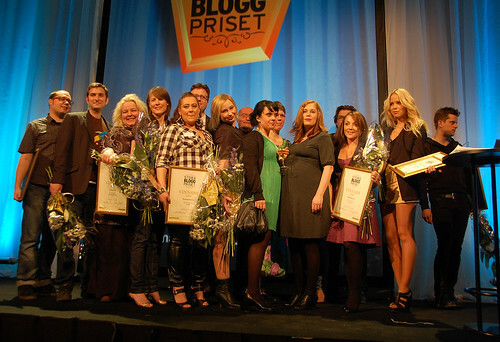 All the winners of the Great Blog Award 2009. Yesterday evening, as we talked about in our bambusing from the event, the Great Blog Award (”Stora Bloggpriset”) gala was held at Nalen in Stockholm. It’s a new award instituted by Aftonbladet and Bloggportalen (owned by Aftonbladet, so basically it’s an Aftonbladet award). Talking about the FRA blog quake last summer and how bloggers had a better coverage than mainstream media, aftonbladet.se’s editor-in-chief Kalle Jungkvist explains his thoughts about the blogosphere and why it’s interesting from a mainstream media perspective. – Historically, journalists have acted as a megaphone. Now we’re facing a new challenge, where we meet active citizens who challenge us, critisize us, comment on us and often, in many issues, know more than we do. That’s a good reason to institute an award for the best of the best of them. 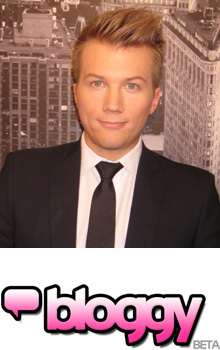 – We are in a phase of learning, Aftonbladet’s editor-in-chief Jan Helin says. We’ll still be in the business of telling the many what few know, but in the future that’s only the start of the discussion. Reporters need to keep working on a story, together with the readers, and they are to a large extent the blogosphere. The award was given in seven different categories, and a panel of 100 bloggers helped nominate five candidates in each category. Working closely with bloggers ensured that the award was well received in the blogosphere, though I found out that the organizers had been a little nervous about that. 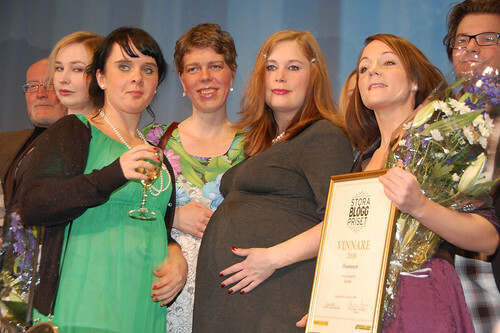 The Aftonbladet.se crew at Nalen, where the ceremony took place, were very happy with the outcome though. The room was crowded, and though not everyone agreed the best blogs had won, everyone seemed to think the whole arrangement was a good idea. Here’s the full list of winners. For all nominations, check out Stora Bloggpriset’s blog. Bokhora, Husmusen and two editors in chief. Apart from the categories, a special honorary award for great journalistic achievements was presented. The winner, chosen by the editors-in-chief, was StoppaFRAlagen.nu, a site which had the function as the hub for the anti-FRA law initiatives last summer as well as for articles in general about the proposed law. – It’s a very complex law, it’s hard to get an overview. 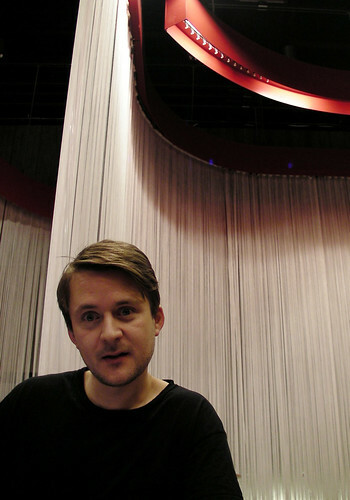 A mix of competences is needed, and the blogosphere has a unique position to provide them, said Mikael Nilsson, who started the site together with Anna Peterson. Anna Peterson and Mikael Nilsson from StoppaFRAlagen.nu, the honorary award winners. Our Stora Bloggpriset set on Flickr. 62 photos from the event. 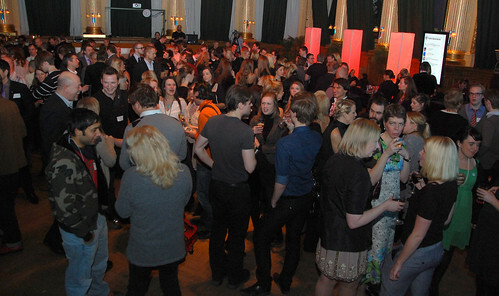 Bloggy is the new microblogging site of choice for Swedes. In a short time the site has gained about 3 000 users and continues to grow. – I was thinking: Can I do this better?, says Jonas Lejon, the man behind the service, to Citizen Media Watch. In Sweden Jaiku has to a large extent been the microblog of choice. But with frequent downtimes, no new features for a long time and Google’s recent announcement that they’re turning it into an open source project, people were ready for an alternative. In steps Jonas Lejon, an entrepreneur who’s behind several blog-related services in Sweden, who puts together Bloggy, a microblogging service in Swedish. He gets enthusiastic cheers, good feedback, and he responds. More than that, he responds quickly, adds new features, tweaks them, and does in a few months what Jaiku with all its Google backup hasn’t done in years. When he announced a function for importing all your Jaiku contacts into Bloggy, there was no holding back the migration anymore. Over the weekend my mailbox has been flooded with friends requests from Bloggy users who have imported their contacts. While it’s a bit sad to let Jaiku go, Bloggy is clearly where the action’s at for the Swedish microblogosphere at the moment. One of the great features is that you can easily follow and update both Jaiku and Twitter from within Bloggy, so you’re not really missing much, even if Bloggy still lacks support for channels. It has adopted many of Jaiku’s features, but it is a bit more like a community than a pure microblogging service. I asked Jonas Lejon what made him develop the service. – I was using Pownce, Twitter and Jaiku and I was tired of em all. I was thinking: Can I do this better? So i started developing Bloggy 8 months ago and implemented all the functions I liked from the other microblogging platforms, he says. How come you decided to do Bloggy in Swedish? – I think that the English language still feels uncomfortable for many Swedes and that providing a service in Swedish makes it more friendly. ”By Swedes for Swedes”. So far, we haven’t seen how it performs under heavy load. 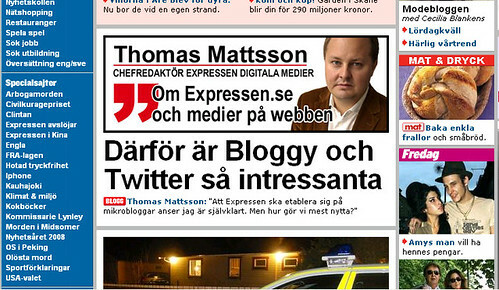 Monday provided one challenge with Thomas Mattsson at Expressen writing about it and giving it lots of space on their front page. Also Bloggy was mentioned in Dagens Nyheter the other day. There were a couple of downtimes Monday, but Jonas Lejon assures those problems are now taken care of. – I’m working very close to our datacenters and they are helping me out with upgrading the server all the time when I reach the limits and I’m fixing performance bugs all the time and now it seems that all problems are gone. – Thanks! I’ve been working a lot the last few days but I’m trying to take some offline time now and then and relax. 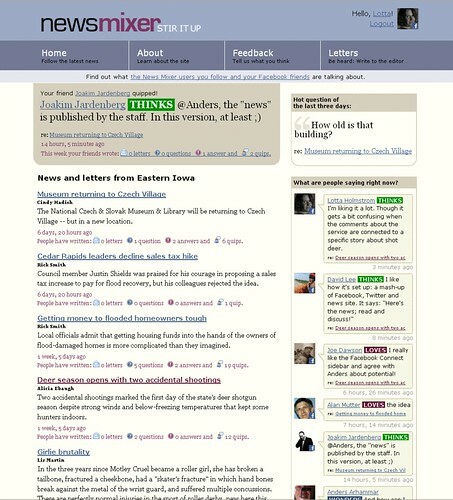 Twingly expands its search engine with a brand new microblog search tool. They’ve been working on it for six months and today it was released. When we last summer started to see the microblogging-hype we felt that a search dedicated to microblogs would be a quite natural development for us. We like Twitter Search and been using it a lot, especially at conferences and when news like Mumbai were having the best news source at Twitter. But because we used Jaiku ourselves it wasn’t what we needed in many cases. Microblogging services covered by Twingly’s search engine are: Twitter, Jaiku, Identi.ca, Pownce (which is dead, but a six month archive remains searchable), Swedish Bloggy.se and the German Bleeper.de. They will keep adding new services, and aim to cover all microblogging services out there.